Staying hydrated is the key to good health. Although drinking adequate fluids can help ensure that the skin stays healthy and hydrated, a cream, moisturizer as well as some other household staples can go a long way toward making the body even more comfortable when experiencing dryness. 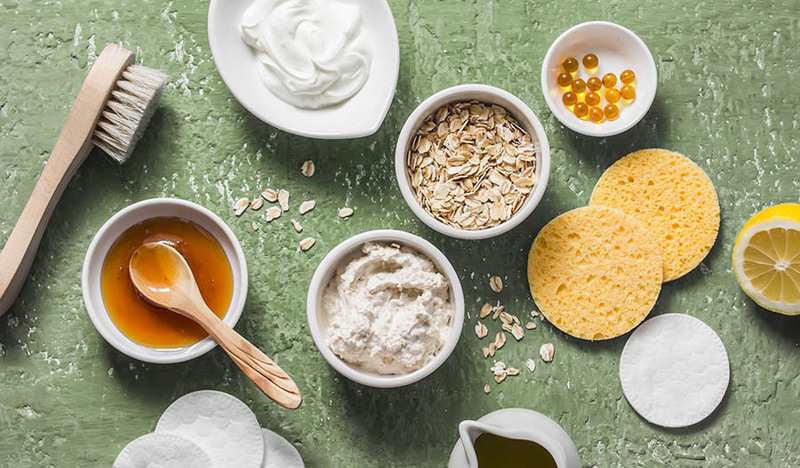 Most people would not begin in the kitchen to start their beauty routine in the morning, but the fridge and pantry hold tons of natural, effective skin moisturizers to enhance and soothe any dry face. Greek yogurt is not only delicious to eat but also serves as a great facial skin moisturizer. Its probiotics, calcium and lactic acid ingredients create the perfect face mask for healthy skin. Greek yogurt also helps fight the bacteria that can lead to acne breakouts. Exfoliating the skin is an effective way to remove dead cells, which in turn will help the face better absorb moisturizers and cream. Add baking soda and water to a facial cleanser to gently remove both dirt and dead skin with a warm water rinse. A great natural moisturizer is coconut oil. Although consuming coconut oil will have positive health effects on the skin, rubbing some on dry areas of the face is a quick, easy and healthy moisturizing solution. It contains collagen-supporting lauric acid and has anti-bacterial and anti-microbial properties that keep people looking young. Packing a punch of vitamins A and F, shea butter helps relieve dry skin and protect the skin from weather and other natural elements. Save avocado skin and try running the inside of the peel over your face. This can help moisturize and add vitamins like A, D and E to the skin. Avocado also contains anti-aging properties. When individuals place cucumber slices over the eyes, the slices can help calm down swelling. Pureed cucumber with honey can also be used as a face mask. Although people probably don't associate raw honey with a facial cleanser, it is a great one that doesn't dry out the skin. Honey that has not been heated retains its anti-bacterial and probiotic properties, which adds to its skincare benefits. It can be a great treatment for acne as well as prevent aging skin, wrinkles, irritation and blemishes. Rich in lactic acid, buttermilk is great at removing dead skin cells, which helps skin rejuvenate itself and look younger. It is also rich in nutrients and helps nourish the skin. Simply soak a washcloth in buttermilk and lay it on the face for 10 minutes. Castor oil is an amazing natural moisturizer has a high concentration of fatty acids. This helps the skin absorb it quickly and treat dry areas by providing a barrier with linoleic acid that holds moisture in the skin. Rub this natural moisturizer on affected areas daily. Although witch hazel and rose water are less common kitchen items, they are inexpensive staples to include in a skincare routine. When they are combined, they create a powerful toner, serving to tighten the face after washing. Vitamin C is abundant in rose water and great for skin care. We rely on our hands for so much of what we do every day. When hands are chapped, dry, irritated and just plain uncomfortable, it affects so many facets of life. The areas that seem the most affected are knuckles, which can also be the most difficult to hydrate. After washing dishes or just cleansing hands, rub your hands with olive oil to trap moisture on the sore areas. Moisturizing hands after a shower or before bed can lengthen the benefits. Sugar and lemon are easily found in most kitchens and can be great for a home manicure. These two ingredients gently exfoliate dry skin, which can help prepare the skin to absorb more of the benefits of moisturizers. 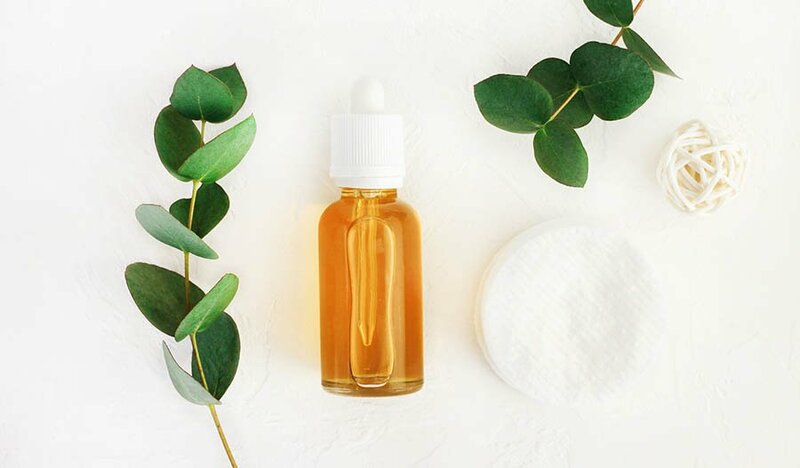 Many natural skin care products contain honey as an ingredient, and it's no wonder: This natural humectant helps increase moisture in the skin even after it is used and removed. Both these herbs relieve inflammation on sore fingers and knuckles. 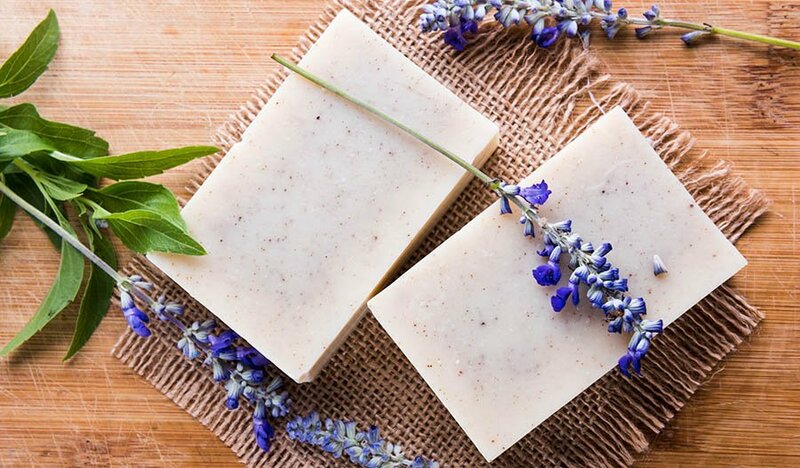 When people experience cracks after being outside in the cold, washing clothes or dishes, or using other irritating substances, using a combination of these herbs with shea butter and beeswax can be helpful. Our feel also commonly develop dryness that is uncomfortable. Try some of these natural remedies to add comfort. Just like coconut oil is great for moisturizing hands and the face, it can be a great protector of feet as well. When folks experience dry skin, particularly on the heels or the ankles, a layer of coconut oil can help soothe the irritation. Coconut oil can also be used as a preventative maintenance treatment as well. Treat foot calluses with a banana and honey foot mask for several minutes before working out the rough skin with a pumice stone. Combining common kitchen ingredients such as olive oil, honey, sugar and lemon can make a fabulous dry foot scrub that can exfoliate, moisturize and heal. Epsom salts are historically known for their healing properties. Warm up water, pour in some Epsom salt, mix well and soak your feet after a long day for softer skin and a reduction in inflammation. Although the face, hands and feet may be the first places to treat for people struggling with dry skin, the rest of the body requires some moisturizing care as well to stay healthy and comfortable. Here are some great ideas and solutions for taking care of the largest organ of the human body. Dry brushing is an invigorating way to start the day. Not only does dry brushing help remove dead skin cells and prepare the body to better absorb moisturizers, but it also improves circulation. Salt and sugar are inexpensive, common items that can serve as great exfoliators anywhere on the body. Combine with a body wash for maximum benefit. Keep showers warm and short instead of hot to avoid extra drying. There's a reason coconut oil appears in every moisturizing category. It is easy to use, keeps the skin healthy and soft and provides natural moisture without clogging pores. Using coconut oil right after a bath or shower increases its effectiveness because it helps lock in moisture against the skin, prolonging the positive effects and benefits. Throw rice in a food processor on a coarse grind to create a gentle, natural exfoliator that can be easily combined with any body wash.
Oats are an excellent soother for irritated skin. Ground oats can be used in a warm bath after a hard day. They can also serve to exfoliate skin and are often found in the ingredient list of various skin moisturizing products. Just 1 cup of oats ground up in a food processor can be sprinkled in a warm bath. Milk softens skin with its lactic acid and helps remove dead skin. Many milk-based bath products are available so that people can experience the benefits discovered centuries ago. Make your own soak by adding 2 cups of milk with 1/4 cup of honey in bath water. For smaller, itchy or irritated areas, a little bit of milk can be applied directly to the skin. Chapped hands and knuckles can be soaked in milk to reduce inflammation. Combining honey and olive oil to make a paste for extra-dry areas like knees and elbows can be beneficial. Let the mixture sit for about 15 minutes before washing it off.